Dozens of Israeli soldiers invaded, earlier Saturday, the village of Raba, east of the northern West Bank city of Jenin, and searched several homes. 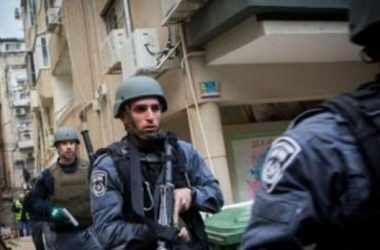 Media sources in Jenin said the soldiers invaded the village from several directions, before breaking into homes and violently searching them, while interrogating the Palestinians. Owners of some of the invaded homes have been identified as Husam Mohammad Qasrawi, and his brother Ammar, in addition to Nasr Hosni Bazzour, and his brother Eyad.